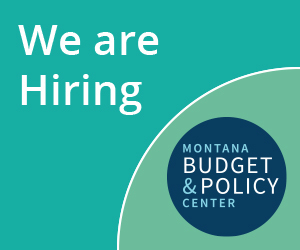 The Legislature's proposed budget eliminates thousands of jobs across the state, according to a new report released today by the Montana Budget and Policy Center (MBPC). The proposed budget strips funding for essential public services and jeopardizes Montana’s economic recovery. Both private-sector and public-sector jobs will be lost. According to the report, the proposed budget would eliminate the equivalent of 85 full-time public jobs. "Public servants do work that matters in communities across the state," said Eric Feaver, President of MEA-MFT, the state's largest public employees' union. "The current budget not only cuts these important jobs, it also diminishes the health and safety of our communities."